The Lunch Club is held on the second Friday of every month in the Bourne End Community Centre for elderly residents of Bourne End. Volunteers cook and serve a delicious two course hot meal in a warm and welcoming atmosphere. The cost of the meal is £4. 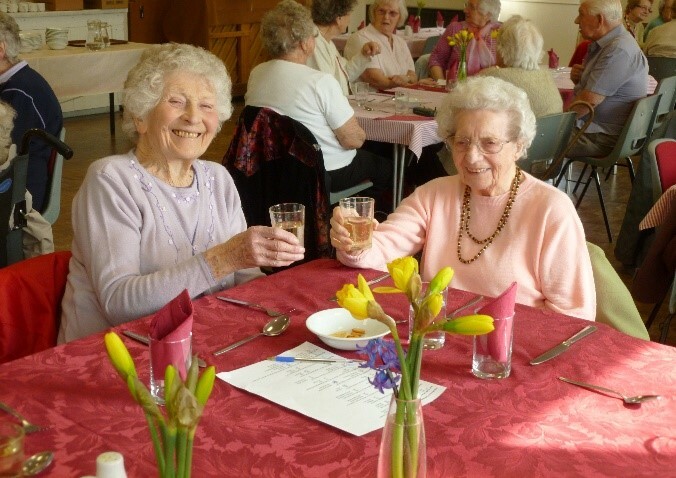 Invitation to join the Lunch Club is by referral and it is intended to benefit elderly people who may have difficulty getting out to socialise or are feeling isolated. Minibus transport is available if required. Please call the Office if you know of an elderly or isolated person who might benefit from the social contact.